It is very difficult to answer it because both of them risky and both of them having a profit also before to start invest in the market one should study properly. But as a beginner or a learner one should start trading with equity market only and gradually one should go for commodity trading. For intraday trading you need only 50k to 1 lac is sufficient to trade and in option with 20k- 40k you can invest easily may be 2–3 lots. Different commodities are traded on derivative or future contract according to that in commodity derivative risk his high although its profit also would be high. As beginner all this thing depend on your investment as well on your risk taking capacity. Just like shares are traded in the equity market capital are traded in forex market Commodities are also traded in commodity exchanges commodity either can be defined raw products like corn spices grains or financial products as gold silver or copper etc. What is equity trading ? Equity trading is a trading in which trading is done on stocks means shares of any company whenever a company needs of more funds they issue shares of the company value of which sometimes increases sometimes decreases and trading on these shares called equity trading. Apart from cash trading there are many segments in which you can trade and can earn huge profit also from the market even in commodity market a huge profit can be made but this trading is not as easy as equity because it is little confusing if we compare to equity trading. So one should start trading with equity market only as he or she will not get confused and later on should learn rest of the segments and can invest more fund as he learns trading. Gokaldas Exports has received an approval for raising of funds through further issue of shares or convertible securities of any nature through one or more modes, including but not limited to one or more further public offerings and/or private offerings and/or Preferential allotment basis, including qualified institutions placement, rights issue, issue of American depository receipts or global depository receipts etc. or any combination thereof, subject to such approvals as may be required, up to an amount not exceeding Rs 125 crore. The board of directors at their meeting held on December 29, 2017, has approved for the same. Gokaldas Exports is the largest exporter of garments in India. The company manufactures blazers and pants (formal and casuals), shorts, shirts, blouses, denim wear, swim wear, active and sportswear. Tata Global Beverages is currently trading at Rs. 314.30, up by 7.70 points or 2.51% from its previous closing of Rs. 306.60 on the BSE. The scrip opened at Rs. 308.90 and has touched a high and low of Rs. 315.45 and Rs. 307.30 respectively. So far 259585 shares were traded on the counter. The BSE group 'A' stock of face value Rs. 1 has touched a 52 week high of Rs. 315.45 on 29-Dec-2017 and a 52 week low of Rs. 119.90 on 29-Dec-2016. Last one week high and low of the scrip stood at Rs. 315.45 and Rs. 300.65 respectively. The current market cap of the company is Rs. 19757.52 crore. The promoters holding in the company stood at 35.61%, while Institutions and Non-Institutions held 34.36% and 30.03% respectively. Tata Global Beverages (TGBL) has entered into a Share Sale and Purchase agreement with Sunshine Holdings PLC, Estate Management Services (EMSPL) on December 28, 2017 for the divestment of its holdings of 1,20,78,406 shares in EMPSL, constituting 31.85% of the issued capital of EMSPL for a consideration of about Rs 120 crore. Consequently, EMSPL has ceased to become an associate of the company effective December 28, 2017. 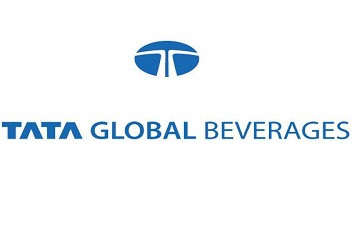 Tata Global Beverages is a global beverage business with a brand presence in over 40 countries. The company has significant interests in tea, coffee and water and is the world’s second largest tea company. 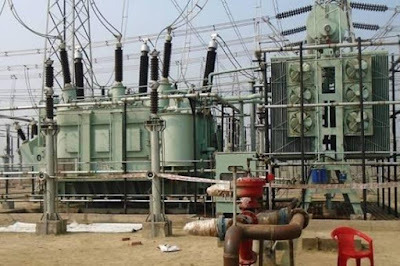 Techno Electric & Engineering Company has received a new order amounting to around Rs 206 crore from The Afghanistan Breshna Sherkat (DABS), Kabul, Afghanistan for design, supply and construction of 500 KV Substation. The project is funded by Asian Development Bank (ADB). Techno Electric & Engineering Company is a provider of engineering, procurement and construction (EPC) services to core sector industries in India. The company’s segments are EPC (Construction), Energy (Power) and Corporate. Tata Power is currently trading at Rs. 93.50, up by 1.20 points or 1.30% from its previous closing of Rs. 92.30 on the BSE. The scrip opened at Rs. 92.50 and has touched a high and low of Rs. 93.65 and Rs. 92.40 respectively. So far 2,66,000 shares were traded on the counter. The BSE group 'A' stock of face value Rs. 1 has touched a 52 week high of Rs. 97.05 on 29-Nov-2017 and a 52 week low of Rs. 73.55 on 29-Dec-2016. Last one week high and low of the scrip stood at Rs. 96.20 and Rs. 91.70 respectively. The current market cap of the company is Rs. 25,262.00 crore. 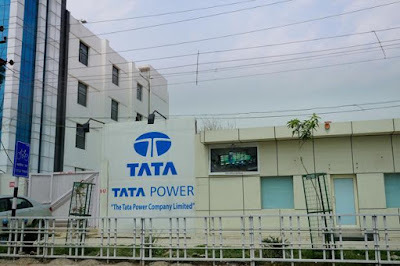 Tata Power Delhi Distribution (TPDDL), a joint venture (JV) of Tata Power and the Government of Delhi has entered into a Memorandum of Understanding (MoU) with Power Finance Corporation’s (PFC) arm - PFC Consulting (PFCCL) for jointly exploring opportunities in electricity distribution sector in the country. As per the MoU, the opportunities shall include various distribution projects, Network Strengthening, Electrical Mobility, Smart Grid, Smart Metering, Distributed Energy Resources, Energy storage, Trainings etc. or any other distribution scheme of Ministry of Power. 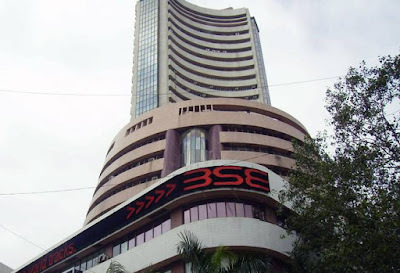 Key Indian benchmarks continued to rally in late morning session, with Sensex holding its crucial psychological level of 34,000, backed by positive Asian cues. Traders remained optimistic with Securities and Exchange Board of India’s (SEBI) decision to relax entry norms for Foreign Portfolio Investors (FPIs) willing to invest in the Indian markets. Besides, SEBI would allow listing of security receipts issued by an asset reconstruction company (ARC) on stock exchange platform. Some support also came with the private report stating that consumer confidence in India is likely to remain high over the next six months with a very optimistic outlook. All the sectoral indices expect Metal and Oil & Gas were showing optimism with notable gains, while the broader indices also rallied by around 0.80 per cent each. On the sectoral front, pharma stocks were trading higher, amid credit rating agency, Crisil’s latest report that revenue of domestic pharma companies is seen growing at 9 per cent per annum over the next three fiscal years ending 2020. On the global front, Asian markets were trading mostly in green, amid a recovery in global economic growth following the modest gains overnight on Wall Street. Back home, in scrip specific development, Aarti Industries traded higher after the company signed Rs 10,000 crore multi-year exclusive supply contract with a leading global chemical conglomerate (customer). Pidilite Industries has informed about pursuant to SEBI (Prohibition of Insider Trading) Regulations, 2015, the trading window of the Company will remain closed from 31st December, 2017 till 48 hours of the declaration of the unaudited quarterly financial statements for the quarter ended 31st December, 2017. Aarti Industries is currently trading at Rs. 1135.85, up by 67.20 points or 6.29% from its previous closing of Rs. 1068.65 on the BSE. The scrip opened at Rs. 1085.00 and has touched a high and low of Rs. 1159.90 and Rs. 1084.95 respectively. So far 43341 shares were traded on the counter. The BSE group 'B' stock of face value Rs. 5 has touched a 52 week high of Rs. 1162.80 on 22-Dec-2017 and a 52 week low of Rs. 673.65 on 29-Dec-2016. Last one week high and low of the scrip stood at Rs. 1162.80 and Rs. 1060.00 respectively. The current market cap of the company is Rs. 9241.83 crore. The promoters holding in the company stood at 53.70%, while institutions and non-institutions held 16.62% and 29.69% respectively. Aarti Industries has signed Rs 10,000 crore multi-year exclusive supply contract with a leading global chemical conglomerate (customer). This contract entails supply of a high value speciality chemical intermediate over a period of 20 years. The supplies are expected to commence from 2020 with an estimated revenue generation of Rs 10,000 crore over the contract period. With this deal, the company is set to enter a new chemistry range, first of its kind in India; and its end product is amongst the major growth initiatives for the customer. The company will be investing $35 - $40 million to setup dedicated large scale manufacturing facility for production of this speciality chemical intermediate, and will be built on the basic technology package received from the customer. The upcoming facility will be a 100% export oriented unit in the state of Gujarat. As a part of this contract terms, the customer shall provide $42 million as an advance to AIL in installments, which shall be adjusted against the supplies in future. This advance shall help reduce the net capital employed, enabling higher ROCE returns for this project. Aarti Industries is one of the most competitive benzene-based speciality chemical companies in the world. It is a rare instance of a global speciality chemicals company that combines process chemistry competence (recipe focus) with scale-up engineering competence (asset utilization). Bajaj Finance has raised funds aggregating to Rs 300 crore through private placement. The Debenture Allotment Committee of the company at its meeting held on December 28, 2017, has allotted 3000 Secured redeemable non-convertibles debentures of face value of Rs 10 lakh each aggregating to Rs 300 crore. IL&FS Transportation Networks’ joint venture (JV) - Jorabat Shillong Expressway mandated for development of section of NH-40 from km 0.000 to 61.800 (approximately 61.92 Kms) in the State of Assam and Meghalaya has refinanced Senior & Subordinated debt by issue of Non-Convertible Debentures (NCDs) to the extent of Rs 883 crore at a weighted average interest cost of 8.34% p.a. as against 11.30% p.a. resulting in the savings of 2.96% in interest cost. The project was completed on January 28, 2016 and is entitled to receive from NHAI a semi-annual annuity of Rs 72.51 crore for a period of 15 years effective July 28, 2016. IL&FS Transportation Networks is an India-based surface transportation infrastructure company. The company is a developer, operator and facilitator of surface transportation infrastructure projects, taking projects from conceptualization through commissioning to operations and maintenance under public to private partnership on build-operate-transfer (BOT) basis. Astron Paper and Board Mills has debuted at Rs 115.00 on the NSE, up by 65 points or 130% from its issue price of Rs 50. The scrip is currently trading at Rs 120.75, up by 70.75 points or 141.50% from its issue price. It has touched a high and low of Rs 120.75 and Rs 112.50 respectively. So far 61,00,939 shares were traded on the counter. The offering was subscribed 243.20 times. The issue price was fixed at Rs 50 per share i.e. at upper end of price band of Rs 45-50 apiece. The company is engaged in the manufacturing of kraft paper (paperboard or cardboard). It comes up with the eco-friendly concept and working towards goal of converting waste in to wealth. 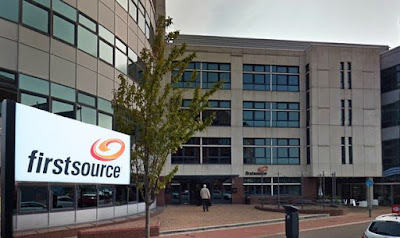 Firstsource Solutions is currently trading at Rs. 42.20, up by 1.75 points or 4.33% from its previous closing of Rs. 40.45 on the BSE. The scrip opened at Rs. 40.75 and has touched a high and low of Rs. 42.25 and Rs. 40.75 respectively. So far 598746 shares were traded on the counter. The BSE group 'A' stock of face value Rs. 10 has touched a 52 week high of Rs. 49.30 on 13-Feb-2017 and a 52 week low of Rs. 30.40 on 15-Jun-2017. Last one week high and low of the scrip stood at Rs. 42.25 and Rs. 39.60 respectively. The current market cap of the company is Rs. 2802.71 crore. The promoters holding in the company stood at 54.82%, while institutions and non-institutions held 12.82% and 32.36% respectively. Firstsource Solutions’ wholly owned subsidiary Firstsource Group USA, Inc has successfully made its eleventh quarterly repayment of $11.25 million on its outstanding debt on December 29, 2017. 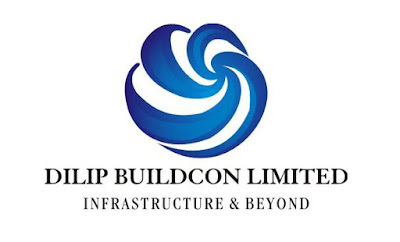 Dilip Buildcon has received an approval for the issuance and allotment of 6000 non-convertible debentures in the form of senior, secured, unlisted, rated, redeemable, rupee denominated with a face value of Rs 10,00,000 each issued at par aggregating to Rs 600 crore in dematerialized form, bearing a coupon rate of 8.90% p.a. on private placement basis. The Board of the company at its meeting held on December 28, 2017, approved the same. DLF is currently trading at Rs. 259.15, up by 10.95 points or 4.41% from its previous closing of Rs. 248.20 on the BSE. The scrip opened at Rs. 248.60 and has touched a high and low of Rs. 260.25 and Rs. 248.00 respectively. So far 591374 shares were traded on the counter. The BSE group 'A' stock of face value Rs. 2 has touched a 52 week high of Rs. 260.25 on 28-Dec-2017 and a 52 week low of Rs. 106.15 on 28-Dec-2016. Last one week high and low of the scrip stood at Rs. 260.25 and Rs. 240.40 respectively. The current market cap of the company is Rs. 45743.48 crore. The promoters holding in the company stood at 74.95%, while Institutions and Non-Institutions held 17.98% and 7.07% respectively. DLF’s promoters have concluded the sale of 33.34% stake in its rental arm to sovereign wealth fund GIC for nearly Rs 9,000 crore. The company will use the funds to reduce net debt, which has surged to nearly Rs 27,000 crore. In late August, the promoters had sold the entire 40% stake in rental arm DLF Cyber City Developers (DCCDL) for Rs 11,900 crore and proposed to invest proceeds into DLF. This deal included sale of 33.34% stake in DCCDL to GIC for Rs 8,900 crore and buyback of remaining shares worth Rs 3,000 crore by DCCDL. DLF is one of India's biggest property developers. The company’s primary business is development of residential, commercial and retail properties. The company has a unique business model with earnings arising from development and rentals. Bond yields edged higher on Thursday, as government decided to make additional borrowing of Rs 50,000 crore this fiscal through dated securities, a move that may put burden on the fiscal deficit target of 3.2 percent of GDP. In the global market, U.S. government debt yields slipped on Wednesday, after consumer confidence dipped in the month of December and the yield curve continued to flatten. Furthermore, oil prices rose on Thursday, lifted by strong data from top importer China amid thin trading activity ahead of the New Year weekend. Back home, the yields on new 10 year Government Stock were trading 13 basis points higher at 7.35% from its previous close of 7.22% on Wednesday. The benchmark five-year interest rates were trading 11 basis points higher at 7.17% from its previous close of 7.06% on Wednesday. 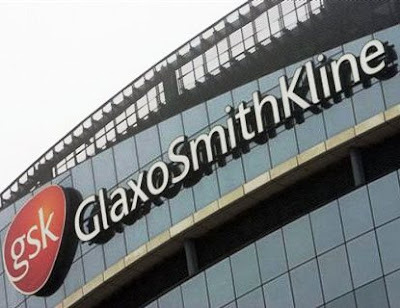 Glaxosmithkline Pharmaceuticals has informed that the in terms of the provisions of SEBI (Prohibition of Insider Trading) Regulations 2015, the trading period for buying or selling of Company’s shares is closed from Monday, 1st January, 2018 and shall reopen on Wednesday, 7th February, 2018 i.e. after the approval and declaration of Un-Audited Financial Results for the third quarter and nine months ended 31st December, 2017, by the Board of Directors at its meeting scheduled to be held on 2nd February, 2018. 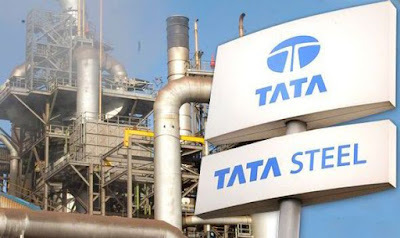 Tata Steel has reportedly appointed domestic investment banks to manage its proposed rights issue of about $2 billion. The company has appointed Axis Capital, ICICI Securities, Kotak Mahindra Capital and SBI Capital Markets to manage the said issue. The company is looking to launch the issue as early as January. The approval to the rights issue by the board is part of the financing strategy to de-leverage.